The site generates over 2000 visitors per day. It's the world's most trafficked asphalt maintenance site on the Net. We are top ranked for over 30,000 search terms. We continue to add more and more content and now have 3 writers who work full-time for the company. The business has established accounts with the US Armed Forces, Hilton Hotels, Restaurant franchises, Universities, International airports and more. 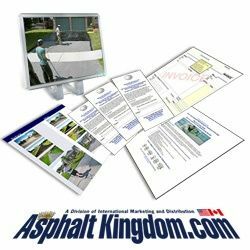 We continue to work towards building awesome relationships with these accounts so that whenever they think of asphalt maintenance equipment or supplies, they think of www.asphaltkingdom.com. Customer loyalty is crucial and we have figured that part out ;-). We also started some social networking marketing campaigns with Facebook and Twitter. The goal here was to develop a more community-oriented energy between our customers and our company. The results are well worth the effort. More traffic to our site converts to sales and more loyal customers. We now employ 9 full-timers with our company and our sales increase every month. The numbers are outstanding. I am still living down in beautiful Anguilla (Caribbean) and enjoying the beach life and some traveling (Montreal, British Columbia, Saint Martin, Florida, Las Vegas, and the occasional kitesurfing trip with some buddies). 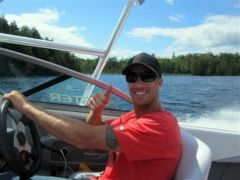 Life just couldn't be better! Ken, thanks so much for designing this powerful step by step solution that includes everything I need to build, manage and market my business. Words just can't tell you how thrilled I am about my life. All the best to the SiteSell family and community!